If you’re around my age, Creep will bring back lots of memories. It was a very popular song with teenagers as we were growing up. Back then, alternative music was all the rage. Our guitar lesson on Creep by Radiohead will teach you how to play the entire song, so you’ll be able to play along with the original. It’ll be loads of fun, and really advance your barre chord skills, as well as your rhythm and timing. Structurally it’s a very simple song, has 4 chords repeating throughout in one way or another. Creep is in the key of G major, and our chords will be G – B – C – Cm. We’ll start the lesson by learning to play these chords, and practicing changing in between them. These are all barre chords, so if you’re not really comfortable with them yet, you might want to go ahead and watch this dedicated barre chord lesson. Once you know the main arpeggio, you’re almost set. They play slight variations of the arpeggio, you can see that in the downloadable tablature, but it’s ok if you just use the main arpeggio. Next, we’ll go ahead and learn the chorus of Creep. 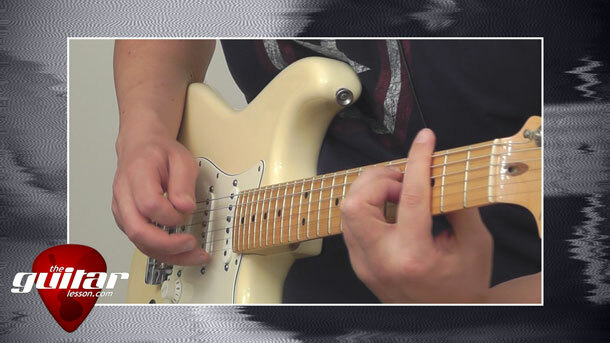 This involves playing power chords in the scale of G. This section of the song sound a bit empty when you’re playing it by itself, so make sure you practice it along with the backing track or the original song when you can. It’ll make it a whole lot more fun. After the chorus, we’ll learn the interlude of the song. It starts out by repeating the power chords of the chorus, and appends a few more power chords to it. Creep was released by the English alternative rock band Radiohead on their debut album, Pablo Honey in 1993. It was initially released as a single in 1992 prior to its album release. In 1992, when it was first aired as a single, it was not a success. When it was re-released in 1993 on Pablo Honey, that’s when it took off. It is, to date, the band’s most famous song. The song was actually written in the late ‘80s by Thom Yorke, the frontman of Radiohead. Radiohead was sued for plagiarism, since the song uses elements from "The Air That I Breathe" by the Hollies from 1973. Listen to it, the resemblance is blatantly clear. #31 on "VH1's 100 Greatest Songs of the 90's"
Sorry, but you've reached a premium content area. The download of the Creep tablature file is only available to premium members. Sorry, the same goes for the backing track. To download the backing track to Creep, please log in and revisit this page.